An unusual post for me, this, in that you can see my face in some of the pictures! And also that I’m talking about something other than flat shoes (well, AS WELL as flat shoes, obvs): jeans. 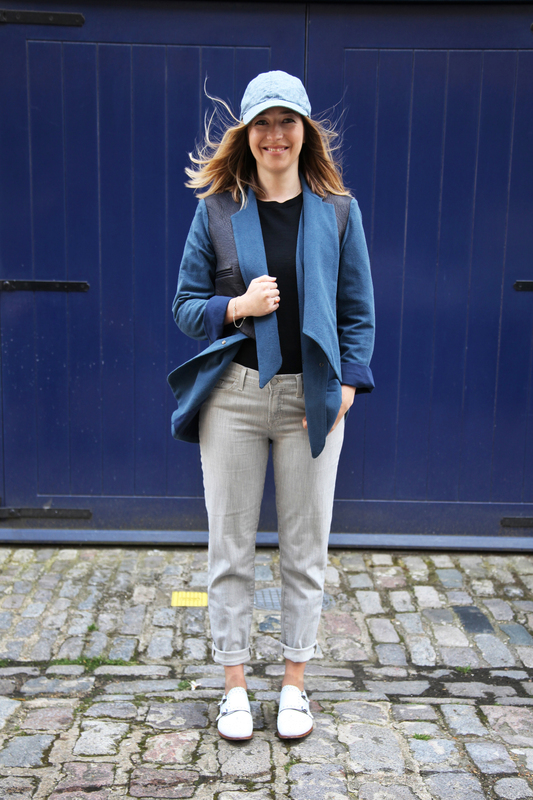 Last week I was invited by Jean Queen Donna Ida to pop to her gorgeous store in Belgravia to try on some jeans and show how I style them up with flat shoes. If you don’t know about Donna Ida already, it’s a one-stop boutique stocking top quality denim, plus all the T-shirts, sweatshirts and jackets you could wish for to go with them. What I love about the store is that the edit is really tight, so there’s not an overwhelming amount to choose from but everything in there is really, REALLY nice. This first pair of jeans are a slim-cut boyfriend by Frame. 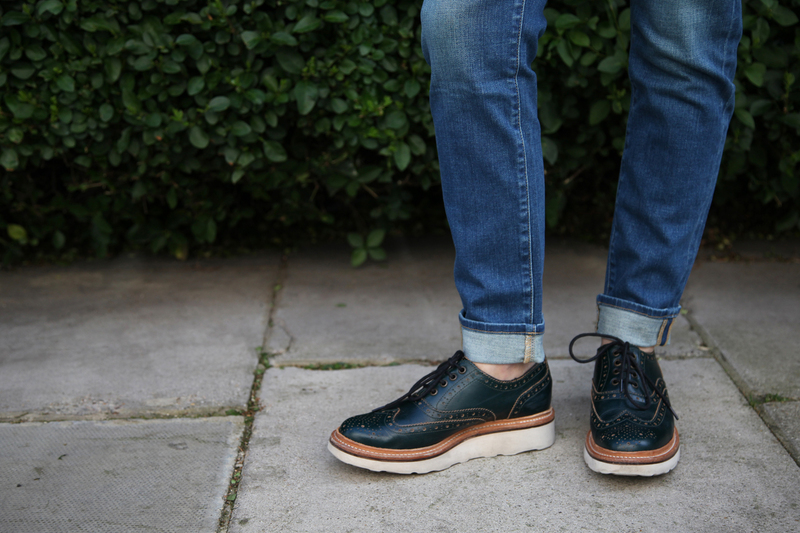 I really liked that they weren’t too baggy as a lot of boyfriend jeans swamp me, and they were the perfect match for my favourite Grenson Emily brogues, particularly when paired with this green printed Leon & Harper Meben jumper. 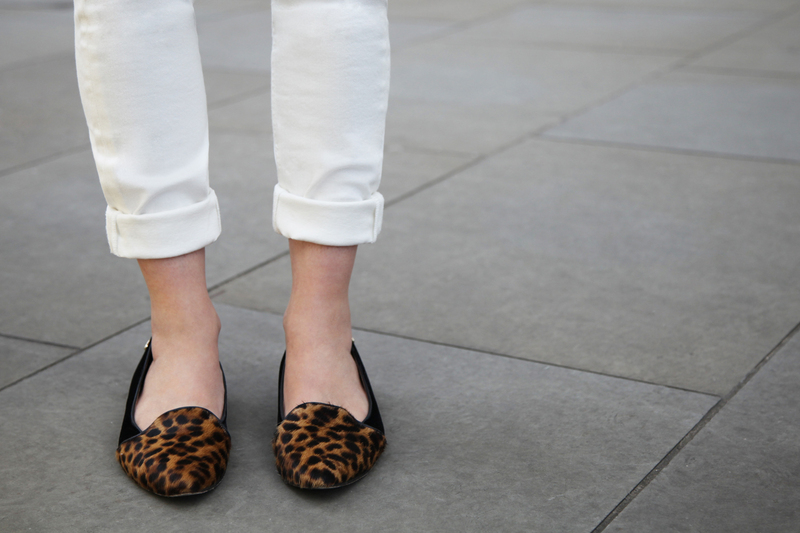 I’m following my fail-safe rule for wearing jeans with flats here: always have a turn-up! IDA Rizzo cords, £160 (BUY ME HERE!). Penelope Chilvers safari boots, £249 (BUY ME HERE!) are my own. Donna Ida stocks all sorts of brands, but she has her own line as well called IDA. My favourites are the style called Rizzo, a skinny style with a high waist, which I think is much more flattering than a low-slung jean. They come in all sorts of colours, including the white I am wearing here (below) and my favourites, the light purple cords (above). Mega stretchy and really comfortable. This time I’ve gone for a double turn-up as I like a healthy flash of ankle with my skinny jeans. IDA Rizzo jeans, £160 (BUY ME HERE!). EnBrogue for Jemima Vine leopard slippers, £159 (BUY ME HERE!) are my own. 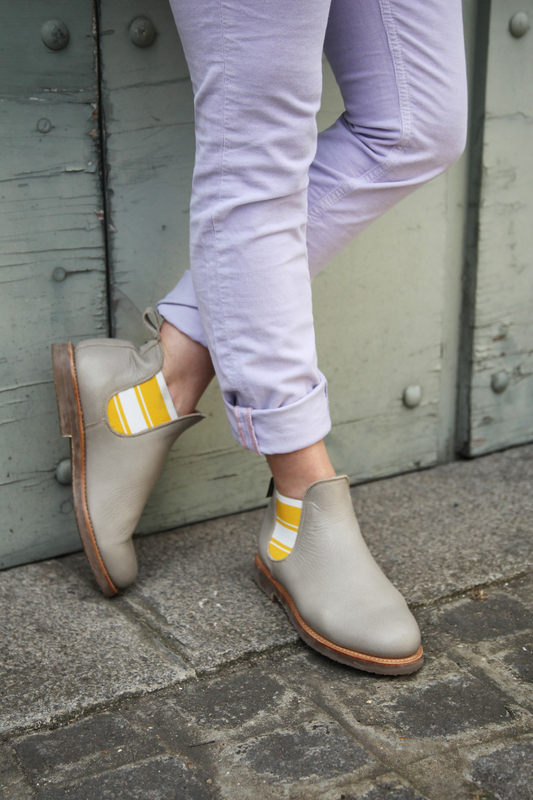 This pair (below) by J Brand, with their slightly slouchy style and mini pinstripe, looked so nice with my Northern Cobbler double monks that it was hard to leave them behind. Proportionally they worked well because they are slightly cropped, which is always good for showing off shoes. Look at my face – I’m so pleased to be wearing them!! I couldn’t do a styling post without wearing my beloved Birkenstocks, and when I saw these tie-dye effect jeans from IRO, I knew they were the perfect match. And how funny is this sweater by IDA? A play on that famous John Lewis slogan. To see my guest post on the Donna Ida website (and a few more pictures! ), click here.